26/09/14 -- EU grains closed mixed, with London wheat slumping to fresh more than 4-year lows on the abundant supply of feed wheat in Europe, combined with the arrival of the impending record large EU and world corn crop. The day ended with Nov 14 London wheat down GBP1.40/tonne to GBP107.65/tonne, Nov 14 Paris wheat closed EUR1.25/tonne higher at EUR152.00/tonne, Nov 14 Paris corn was up EUR1.25/tonne to EUR137.25/tonne, whilst Nov 14 Paris rapeseed was EUR1.50/tonne easier at EUR315.50/tonne. For the week that puts London wheat down GBP3.90/tonne, with Paris wheat falling a more modest EUR1.50/tonne. Corn was actually 25 euro cents higher and rapeseed fell EUR1.75/tonne. A weaker euro this week also weighed on London wheat and supported the Paris grains a little. Strong demand for milling wheat is evidenced by the fact that Brussels have so far this season issued soft wheat export licences for 6.4 MMT versus 6.2 MMT a year ago. Recall that the USDA currently expects EU wheat exports to fall more than 18% this year versus 2013/14. Note also that Europe has managed to achieve these sales in the face of very strong early season competition from the Black Sea, especially Russia. Their aggressiveness is expected to wane somewhat as the season progresses. Russian wheat prices have fallen this week, in reaction to missing out on both of Egypt's tenders, with 12.5% milling wheat offers from the deep water Black Sea ports down to around $234/tonne, which is down $10/tonne versus a week ago. The 2014 Russian grain harvest now stands at 94 MMT, off almost 79% of the planned area. Wheat accounts for 56.5 MMT of that total (off 80%) and barley a further 20.1 MMT (88%), according to the Ag Ministry. They also say that Russian growers have already seeded 10.6 million ha of land with winter crops for next year's harvest. That's 64% of the planned area, and a sharp rise on 7.4 million this time a year ago. FranceAgriMer said that the French corn harvest is now underway, albeit at only 1% complete as of Monday. They left crop conditions unchanged (in a manner of speaking) at 86% good to very good, which is 30 points ahead of last season. The finer detail shows a shift of two points out of good into very good. Corn crops all over Europe, including those here in the UK, continue to look splendid and hugely better than they did a year ago. ADM Germany, formerly Toepfer, estimated the EU-28 corn for grain crop at a record 70.46 MMT, a 9.3% rise on last year's 64.48 MMT. Some feel that it's the impending size of this crop that could prove to be the final nail in the coffin for feed wheat prices. Ukraine corn prices are now said to be down to $160/tonne FOB the Black Sea (around GBP98.50/tonne), which is $10/tonne lower than a week ago. French corn values are said to be around EUR132/tonne FOB Bordeaux (around GBP103/tonne). A duty free barley export quota which still has around 230,000 MT open on it, granted to Ukraine, which is scheduled to expire on Oct 31 will be extended until the end of the year, Brussels has said. Ukraine's duty free wheat and corn export quota to EU destinations has already been filled. There's talk that a new preferential quota could be granted to Ukraine for corn exports beginning Jan 1. 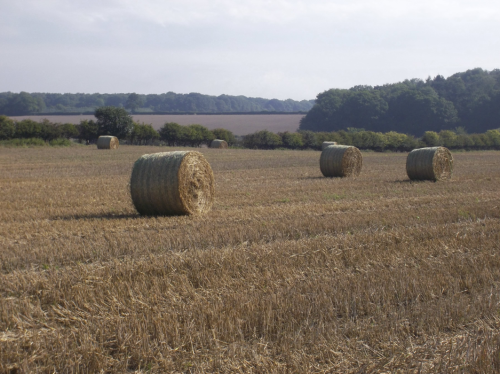 At home, the HGCA reported preliminary results for the quality of the 2014 UK milling wheat harvest at 11.3% protein, 77.3 kg/hl bushel weight and 311 hagberg. 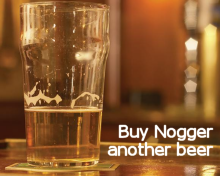 The average nitrogen content of barley is the lowest since records began in 1977 at 1.53%, they added. 25/09/14 -- Soycomplex: Beans closed lower, despite weekly export sales of almost 2.6 MMT. This was seen as "old news" as they mostly related to the recent "showcase" deal signed with a Chinese delegation a couple of weeks ago. US weather remains non-threatening. MDA CropCast left their US soybean production estimate unchanged at 3.819 billion bushels. Reuters reported that soybean planting in Brazil's Parana state at 6% complete versus only 2% a year ago, following good recent rains. Mato Grosso is only 1% done though as the dry season there has yet to break. The Brazilian Ag Ministry estimated Brazil’s 2014/15 bean crop at a record 90-96 MMT. The IGC raised their forecast for the global soybean crop in 2014/15 to a new record 310 MMT, up 6 MMT from previously. Nov 14 Soybeans closed at $9.22 3/4, down 14 cents; Jan 15 Soybeans closed at $9.31 1/2, down 13 3/4 cents; Oct 14 Soybean Meal closed at $312.40, down $4.00; Oct 14 Soybean Oil closed at 32.62, unchanged. Corn: The corn market closed lower. Weekly export sales came in at 1.1 MMT, at the top end of expectations. MDA CropCast were unchanged with their forecast for this year's US corn crop at 14.426 billion bushels. The IGC raised their forecast for this year's corn crop by 1 MMT to 974 MMT, which would be 9 MMT below last season's record. Huge US corn yields are what is hanging over the market. "Unless something changes, the yield reports will continue to offer resistance. So far, 'off the charts' is the best description. While reports of yields tend to be 200+, 250+ etc, the trade never hears of yields that would drag the average down. I don’t believe news of this nature will go stale until we are deeper into harvest," said Benson Quinn Commodities. The Brazilian Ag Ministry said that they are to buy 1-1.5 MMT of domestic corn for public stocks. UkrAgroConsult estimated Ukraine’s 2014 corn crop at 25.9 MMT versus a previous estimate of 27.0 MMT. Dec 14 Corn closed at $3.26, down 3 1/2 cents; Mar 15 Corn closed at $3.39, down 3 1/4 cents. Wheat: The wheat market closed mostly lower. The IGC raised their global wheat production forecast by 4 MMT from last month to an all time high 717 MMT. "The world carryover is placed at a five-year high and, with gains in the EU, US and the Black Sea region, major exporters’ stocks are expected to increase for a second successive season," they said. "Seeding of the 2015/16 northern hemisphere winter crop is underway. Total world area is tentatively projected to increase slightly year on year," they added. Weekly export sales came in at a relatively modest 396,300 MT. Qatar bought 40,000 MT of Russian origin wheat for Nov-Dec shipment. 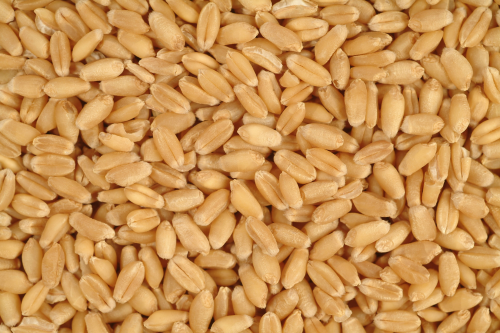 A Greek importer bought 3,000 MT of Ukrainian milling wheat for October shipment. The Max Rubner Institute said that Germany’s 2014 wheat protein content is 13.1%, unchanged from a year ago. UkrAgroConsult estimated Ukraine’s 2014 grain crop at 57.4 MMT versus a previous estimate of 58.5 MMT. Dec 14 CBOT Wheat closed at $4.74, down 6 1/4 cents; Dec 14 KCBT Wheat closed at $5.64 1/4, unchanged; Dec 14 MGEX Wheat closed at $5.36 1/4, down 1 3/4 cents. 25/09/14 -- EU grains closed mixed, with London wheat falling to fresh lows. The day ended with Nov 14 London wheat down GBP0.45/tonne at GBP109.05/tonne, and Nov 14 Paris wheat closing down EUR2.00/tonne to EUR150.75/tonne. Nov 14 Paris corn was up EUR1.50/tonne to EUR136.00/tonne and Nov 14 Paris rapeseed rose EUR2.25/tonne to EUR317.00/tonne. The International Grains Council again raised their forecast for by world grain production by 8 MMT to 1,983 MMT, now only 10 MMT lower than last year’s record. Wheat production is now seen at an all-time high 717 MMT, up 4 MMT from last month and last year. "World total grains consumption is projected to grow by 2% year-on-year, with much of the increase for animal feed, particularly corn. However, strong competition is expected from heavy supplies of alternative feeds, including weather-damaged wheat," they said. UkrAgroConsult said that they were "preparing to lower by 1.1 MMT to 57.4 MMT its forecast for the Ukraine grains harvest," according to Agrimoney.com. The reduction is due to lower corn production, now pegged at 25.9 MMT, although that's still the second highest on record. "In our opinion, some 25% of corn plantings in Donetsk region and some 30% in Luhansk region have been damaged by the warfare and are unsuitable for harvesting," they said. Looking ahead to winter plantings in the region. 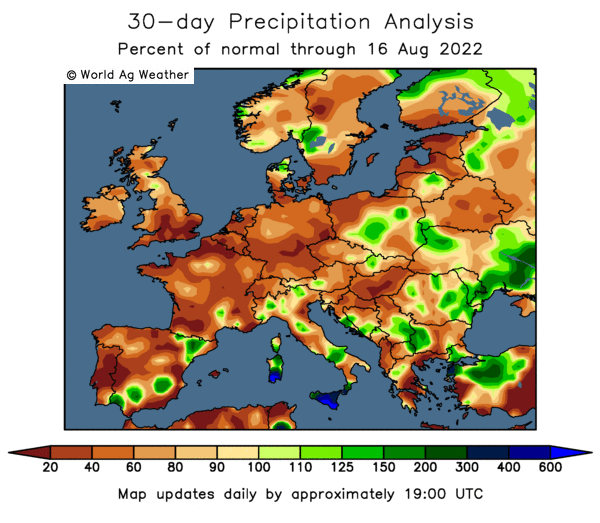 MDA CropCast said that "rains increased across central and eastern Ukraine, Belarus, southwestern Central Region, and western North Caucasus this past week, which significantly improved moisture for winter wheat establishment. Additional improvements are expected in Volga Valley and south central North Caucasus this week. However, some dryness will likely linger in far northern North Caucasus and northwestern Ukraine." Russia said that it had now harvested 93 MMT of grains off 77.4% of the planned area. The wheat harvest is now up to 56 MMT in bunker weight, and the barley crop stands at 19.9 MMT. Corn production is 3.9 MMT off 29% of the planned area. Winter grain planting is now complete on 10.5 million ha, or 63.5% of plan, they added. Ukraine said that it had now harvested over 40 MT of grains off 73% of the planned area. The corn harvest is 19% complete at nearly 4 MMT, they said. Brussels confirmed that they'd issued 613 TMT worth of soft wheat export licences this past week, taking the marketing year to date total to 6.4 MMT versus 6.2 MMT a year ago. EU corn import licences now stand at 2.3 MMT versus 959 TMT a year ago. 24/09/14 -- Soycomplex: Beans closed with small gains. There's some supportive chatter that US soybean plantings may have been lower this year than the current USDA estimate suggests. "In its acreage update released last Friday, Informa cut harvested soybean acres by 1.2 million to 82.9 million vs. USDA’s estimate of 84.1 million," noted Benson Quinn Commodities. Still, very impressive early soybean yields continue to keep being reported, so it's possible that some, if not all, of any planted shortfall could be compensated for by this. The USDA's next chance to adjust their numbers is with next month's WASDE report due Oct 10. Before that we get the Sept 1 quarterly grain stocks report due next Tuesday, Sep 30. 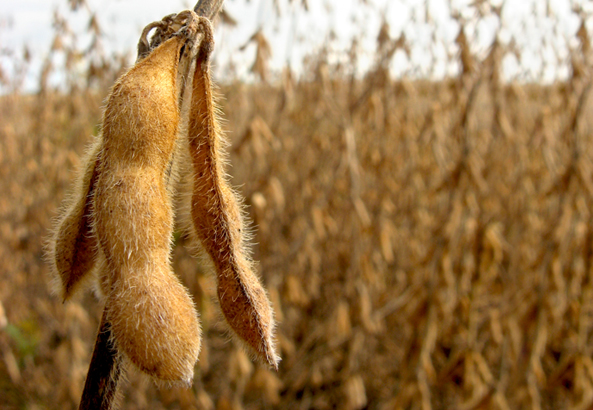 Trade estimates for that are for soybean stocks of 126 million bushels, according to a Reuters survey. A Bloomberg survey puts the figure at 131 million. Trade estimates for tomorrow's weekly export sales report are as high as 4 MMT+ on soybeans, largely due to the inclusion of much of last week's "showcase" deal with China to import 4.8 MMT of US beans. US weather forecasts remain non-threatening. Nov 14 Soybeans closed at $9.36 3/4, up 1/2 cent; Jan 15 Soybeans closed at $9.45 1/4, up 1 1/2 cents; Oct 14 Soybean Meal closed at $316.40, down $0.70; Oct 14 Soybean Oil closed at 32.62, up 39 points. Corn: The corn market essentially reversed yesterday's losses, ending the day 4 cents higher. As with soybeans, there's widespread talk of lower US corn plantings this year than the current USDA estimate. Also, as with beans, reports keep filtering through of exceptional US corn yields this year, so one may compensate for the other. US weather forecasts remain conducive to good harvest progress to be made and the firm US dollar is an inhibiting factor. The corn harvest is underway in Russia and Ukraine. Prices are now below GBP100/tonne FOB sterling equivalent in the latter. Romania said that it is expecting a second bumper corn crop in a row, with production seen at close to last season's record 11.5 MMT. Exports are also thought likely to be similar to last season's 3.4 MMT. FranceAgriMer confirmed that a much larger proportion than normal (45%) of this year's French wheat crop is only feed grade, which will be offered onto the market in direct competition to corn. France is also expecting a record corn crop this year. A Bloomberg survey shows analysts expecting Sept 1 corn stocks to be 1.191 billion bushels next week. A Reuters survey says 1.185 billion. Taiwan Sugar Corp bought 23,000 MT of US corn Nov–Dec shipment. Trade estimates for tomorrow's weekly export sales report for corn are 500 TMT to 1 MMT. Dec 14 Corn closed at $3.29 1/2, up 4 cents; Mar 15 Corn closed at $3.42 1/4, up 4 cents. Wheat: The wheat market managed modest gains. "Russian harvest progress continues to point to wheat production in a range of 61 to 63 MMT," noted Benson Quinn Commodities. The USDA are currently "only" at 59 MMT. The Russian's say they have harvested 55.5 MMT in bunker weight so far off 77.2% of the intended area. Russian grain exports are showing signs of slowing. Rusagrotrans said that the country will export 3.0 MMT of grains in October, down from 3.8 MMT in September and the record 4.7 MMT shipped out in August. The October total is still ahead of last year's 2.48 MMT however. Market talk suggests that Nigeria has bought 40,000 MT of US soft red winter wheat. Ethiopia are tendering for 200,000 MT of optional origin milling wheat for Jan shipment. Japan are tendering to import 93,000 MT feed barley. Qatar are in the market for 40,000 MT of optional-origin milling wheat. Reuters reported that heavy rain in Brazil is disrupting what is forecast to be a record wheat harvest this year. The harvest has already begun in Parana state. A Bloomberg survey shows the average trade estimate for Sept 1 US wheat stocks is 1.910 billion bushels. A Reuters survey says 1.880 billion. Trade estimates for tomorrow's weekly export sales report are 350-600 TMT. Dec 14 CBOT Wheat closed at $4.80 1/4, up 4 1/4 cents; Dec 14 KCBT Wheat closed at $5.64 1/4, up 2 1/4 cents; Dec 14 MGEX Wheat closed at $5.38, up 3 1/2 cents. 24/09/14 -- EU grains closed mixed. The day ended with Nov 14 London wheat down GBP0.25/tonne to GBP109.50/tonne, Nov 14 Paris wheat closed EUR2.50/tonne higher at EUR152.75/tonne, Nov 14 Paris corn was up EUR3.25/tonne to EUR134.50/tonne, whilst Nov 14 Paris rapeseed was EUR3.50/tonne firmer at EUR314.75/tonne. Paris grains were supported by the week euro. One pound tonight buys you almost 1.28 euros, the best return since July 2012. FranceAgriMer said that only 46% of the French wheat crop has a hagberg falling number of 220 or more versus 99% a year ago. More than a quarter of the crop (27%) has hagberg levels below 140, and 19% of it has a falling number between 170-220. They said that 17 MMT, or 45%, of this year's crop is only "third grade" (essentially feed wheat). A year ago that volume was only 4.3 MMT (11.7%). They added that the average protein level of French wheat this year was 11.1%, with an average specific weight of 76.3 kg/hl. Ukraine's Ag Minister said that this year's grain crop would total 60 MMT versus last season's record 63 MMT. The total doesn't include Crimea, or production in parts of the war-torn Donetsk and Lugansk regions. Recent heavy rains have slowed up the pace of winter plantings in Ukraine, with 2.3 million ha of the intended 6 million ha sown so far. The rains have improved soil moisture conditions, although they also mean that some corn is being cut at 25% moisture, adding drying costs that the Ukraine farmer can ill afford. Ukraine corn prices FOB the Black Sea have now tumbled to just $161/tonne. The Russian harvest now stands at 92.4 MMT off 76.5% of the intended area. Wheat accounts for 55.5 MMT of that total off 77.2% of plan. Winter planting progress in Russia has been brisk, with 10.4 million ha (63%) of the planned 16 million ha already sown versus 7.3 million ha a year ago. Russian exports are showing signs of slowing up. Rusagrotrans said that Russia's grain exports in October would fall to around 3 MMT from 3.8 MMT this month. Russia shipped out a record 7.9 MMT of grains in the first two months (Jul/Aug) of the marketing year. Russia will begin its intervention purchase programme next week (Sept 30), adding a bit more domestic demand, which is already strong due to increased livestock feeding due to retaliatory Russian sanctions against EU and US meat imports. Ukraine has also been exporting at a frenetic pace despite the conflict in the country. Jul 1 - Sep 18 exports were 7.6 MMT, a 19% increase versus a year ago. That included 2.7 MMT of barley, more than the entire volume shipped in 2013/14 and 200 TMT more than the USDA's forecast for the whole of this season. 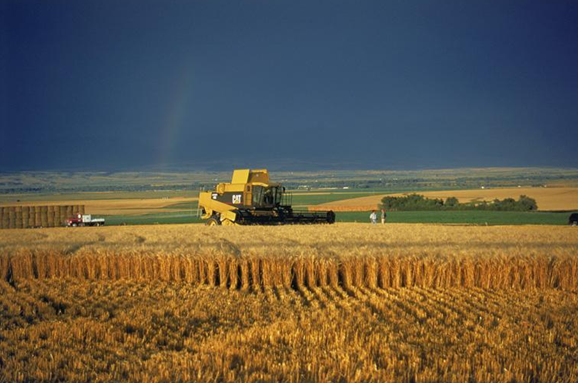 Kazakhstan's harvest is said to be 60% complete, which is 7 points behind last year's pace. 23/09/14 -- Soycomplex: Beans closed with little change. Oil World estimated the 2014/15 global soybean crop at 310.8 MMT versus a previous estimate of 306.7 MMT and up 9% compared to the 2013/14 production of 285.2 MMT. They have global soybean use at 292.0 MMT versus a previous estimate of 290.2 MMT and compared to 2013/14 use of 274.8 MMT. That puts global soybean ending stocks at a record 89.1 MMT versus a previous estimate of 86.4 MMT and compared to a 2013/14 ending stock estimate of 70.3 MMT. They see world 2014/15 rapeseed production at 67.5 MMT versus a previous estimate of 68.7 MMT and compared to 2013/14 production of 70.0 MMT. The Argentine Ag Secretary estimated Argentina’s 2014/15 soybean planted area at 20.0 million ha, matching last year's record. "Big yield talk and perfect 2-week weather forecast weighed with early harvest yield reports coming out of MN in the 50s despite the season’s adversity while temps look to be in the 80s this weekend for SD, ND and MN," said Benson Quinn Commodities. Nov 14 Soybeans closed at $9.36 1/4, down 2 cents; Jan 15 Soybeans closed at $9.43 3/4, down 2 cents; Oct 14 Soybean Meal closed at $317.10, down $2.30; Oct 14 Soybean Oil closed at 32.23, up 23 points. Corn: The corn market closed lower. The benign weather outlook for the US will "hopefully finish off the corn crop and advance soybean harvest," said Benson Quinn. "Extended weather forecasts point towards more moisture. The 6 to 10 day forecast indicates normal to above normal temps for most of the country. Look for a drier weather profile to prevail in the eastern corn, while the western corn belt is expected to see more shower activity during this time frame," they added. Various pundits are suggesting that US farmers may ultimately have planted 2-3 million acres less corn than current USDA estimates suggest. Bumper yields may negate at least some of that loss though. 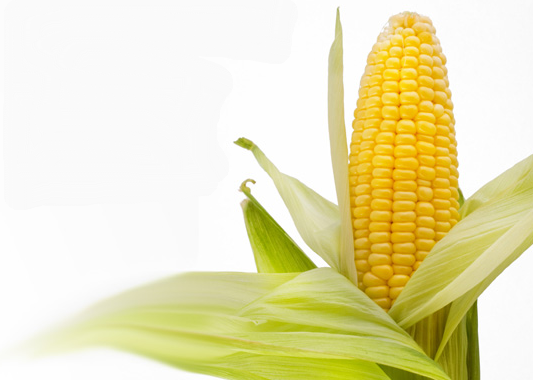 The UAE are in the market for 25,000 MT of optional origin corn. Argentina's corn plantings are seen falling from 6.1 million ha to 5.6 million this year. MARS raised its forecast for EU corn yields from 7.53 MT/ha to 7.59 MT/ha. "Yield prospects for grain maize have further improved; forecasts are 12.5 % above the level of last year and 11.8% above the last five year’s average," they said. Ukraine said that their corn harvest was 17% complete at 3.43 MMT. Russia said that their corn harvest was 28% done at 3.8 MMT. Dec 14 Corn closed at $3.25 1/2, down 4 3/4 cents; Mar 15 Corn closed at $3.38 1/4, down 4 1/2 cents. Wheat: The wheat market closed mixed, with fresh news lacking. Russia's wheat harvest is now 76% done at 55.2 MMT in bunker weight. Winter plantings for the 2015 harvest are already quite well advanced, being completed on 10.2 million ha compared to only 7.0 million this time a year ago. Ukraine's winter plantings are also said to be going well at 2.0 million ha, or 27% of plan. 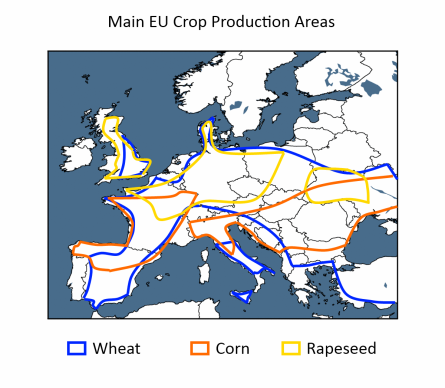 Wheat accounts for the vast majority (1.94 million ha) of that area. Recent heavy rains in Ukraine have created excellent conditions for winter grain sowing, according to the state weather service. The Ukraine Ag Ministry said that the country has exported 7.8 MMT of grain between July 1st – Sept 23rd, an increased of 48% from a year ago. MARS increased their forecast for EU soft wheat yields from 5.85 MT/ha to 5.88 MT/ha, a 1.1% rise compared to last year and 5.5% above the prior 5-year average. Tunisia's Ag Ministry said that the country had harvested 2.34 MMT of grains this year versus only 1.3 MMT a year ago. They said 2014/15 grain imports expected to drop by 80% in 2015. United Arab Emirates seek 107,000 MT of optional origin wheat along with 30,000 MT of feed barley. Dec 14 CBOT Wheat closed at $4.76, down 3/4 cent; Dec 14 KCBT Wheat closed at $5.62, up 1 3/4 cents; Dec 14 MGEX Wheat closed at $5.34 1/2, down 2 1/4 cents. 23/09/14 -- EU grains closed mostly lower again, with yet more new 50-month closing lows set in London and Paris wheat and Paris corn. It's unclear if we are now at the panic or capitulation stage. The day ended with Nov 14 London wheat down GBP0.75/tonne to GBP109.75/tonne, Nov 14 Paris wheat closed EUR1.00/tonne lower at EUR150.25/tonne, Nov 14 Paris corn was down EUR3.00/tonne to EUR131.25/tonne, whilst Nov 14 Paris rapeseed was EUR0.75/tonne firmer at EUR311.25/tonne. 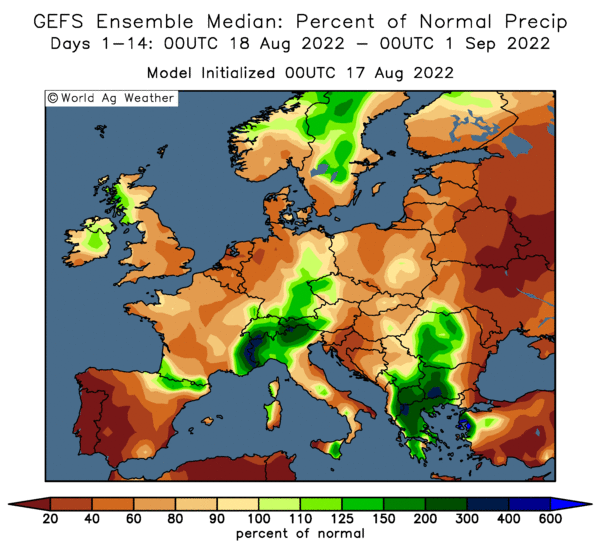 The EU Commission's MARS unit raised their forecast for EU average soft wheat yields from 5.85 MT/ha to 5.88 MT/ha, along with upping their corn yield estimate from 7.53 MT/ha to 7.59 MT/ha. They also forecast EU corn and rapeseed yields unchanged from last month at 7.53 MT/ha and 3.33 MT/ha respectively. For the UK specifically they pegged wheat yields at 8.24 MT/ha, with those for barley at 5.81 MT/ha and rapeseed at 3.81 MT/ha. Ukraine said that they'd harvested 39.6 MMT of grains so far off 72% of the planned area. This year's corn harvest is 17% complete at 3.43 MMT, they said. They also said that they'd now planted over 2m ha of winter grains, around 27% of the planned area, including 1.94k ha of winter wheat (31% of plan). Recent heavy rains are now disrupting the late corn harvest and also plantings for 2015, although they will be helping what has been sown already. The Ukraine Ministry said that the country had exported 7.4 MMT of grains so far this year, including 4.3 MMT of wheat, 2.6 MMT of barley and 400 TMT of corn. APK Inform said that only 56% of this year's Ukraine wheat crop would make milling standard versus 69% a year ago. Russia said that they'd now harvested 91.9 MMT of grains off 76% of the planned area. That total includes 55.2 MMT of wheat, 19.8 MMT of barley and 3.8 MMT of corn. They also said that winter grain planting was now complete on 10.2 million ha, or 62% of the plan, and up sharply from only 7 million ha a year ago. The Russian Ag Ministry also said that they will begin purchasing "up to 5 MMT" of intervention grains starting on Sep 30. Kazakhstan said that they'd now harvested 9.5 MMT of grains off 58% of the planned area. 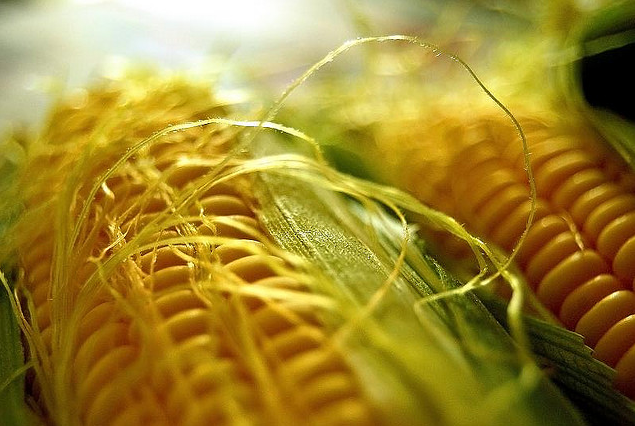 The EU have announced that they are to raise the import duty on corn shipped in from outside the trade bloc from EUR5.32/tonne to EUR10.44/tonne. It's unclear yet whether Ukraine will be given a preferential duty free quota as they have been in 2013/14. Oil World estimated the 2014/15 global rapeseed production at 67.5 MMT versus a previous estimate of 68.7 MMT and the 2013/14 crop of 70.0 MMT. Tunisia's Ag Ministry forecast their 2014 grain crop at 2.34 MMT versus only 1.3 MMT a year ago. 22/09/14 -- Soycomplex: Beans fell to fresh 4-year lows as the US prepares to bring in a record 2014 soybean crop. Nearby cash premiums have "collapsed" according to Benson Quinn Commodities as the "processor market eyes amble harvest supplies and moves closer and closer to harvest values." The harvest is underway in some areas, in fact in Louisiana it's already past halfway at 59% complete. Mississippi and Arkansas are other states where growers have made good progress attempting to make the most of premiums available. They are 41% and 23% harvested respectively. Nationally the USDA said that this year's crop was only 3% harvested though versus 8% for the 5-year average at this time. They cut good to excellent crop ratings by one point to 71% and said that 45% of the crop is dropping leaves versus 53% on average. 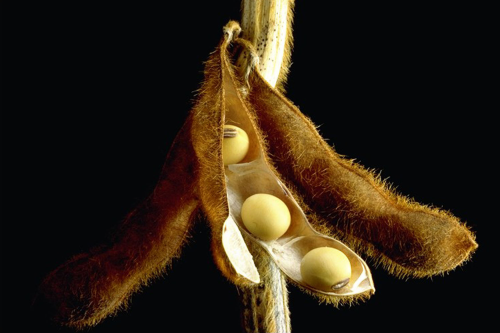 Weekly soybean export inspection came in at 467,684 MT. Reuters reported that China's crude oil, coal and iron ore imports are all slowing, despite declining world prices as Chinese growth tails off. There's concern that something similar could happen to soybeans. China's August soybean imports were 6 MMT, down 5% versus a year ago. Nov 14 Soybeans closed at $9.38 1/4, down 18 3/4 cents; Jan 15 Soybeans closed at $9.45 3/4, down 19 1/2 cents; Oct 14 Soybean Meal closed at $319.40, down $4.70; Oct 14 Soybean Oil closed at 32.00, down 46 points. Corn: The corn market closed lower on harvest pressure. "The trade continues to leverage talk of better than expected yields and favourable weather for the bulk of the Corn Belt," said Benson Quinn Commodities. Crop development is still delayed though. The USDA said that the 2014 US corn harvest was now 7% complete versus 15% for the 5-year average. Maturity was put at 42% versus 54% on average. The crop was said to be 90% dented versus 92% normally, with good to excellent crop ratings steady at 74% (there was actually a one point shift from good into excellent). Dollar strength also remains an inhibiting factor. Weekly export inspections came in at 1,018,858 MT. A group of private Israeli buyers were said to have purchased around 70,000 MT of optional (most likely Black Sea) origin corn. EU corn prices fell to fresh 4 year lows as they prepare to also bring in a record 2014 corn crop. The ongoing MIR 162 dispute between the US and China shows little sign of getting resolved any time soon. China has turned to "non-traditional" corn suppliers like Bulgaria and Ukraine for corn, according to a report on Reuters. Chinese customs data shows that the country imported over 3.5 MMT of corn in the Jan/Aug period. August corn imports were 133,666 MT, with 112,332 MT of that coming from Ukraine. South Korea's KFA bought 60,000 MT of optional origin corn for Feb shipment. Dec 14 Corn closed at $3.30 1/4, down 1 1/4 cents; Mar 15 Corn closed at $3.42 3/4, down 1 1/2 cents. Wheat: The wheat market closed narrowly mixed. The news that Egypt had bought one cargo of US SRW wheat over the weekend was seen as friendly although one 55,000 MT sale is hardly a game changer. Chinese customs data shows them importing 2.7 MMT of wheat in the Jan/Aug period, a 27% increase versus 12 months previously. The USDA reported the 2014 US spring wheat harvest at 86% complete, up from 74% a week ago but still a little behind 92% for the 5-year average. Winter wheat plantings are 25% complete, a little ahead of the 5-year average of 22%. Weekly export inspections came in at 506,612 MT versus 644,818 MT during the same week last year. Cumulative year to date inspections are now running 34% behind where they were a year ago. Russia remains on target to hit or beat a 2014 wheat harvest of 60 MMT in clean weight, having brought in a crop of 54.8 MMT in bunker weight so far, with around 25% of the crop still to be cut. Interestingly they, along with Romania, were well out-priced in the GASC tender over the weekend. Winter grain plantings in Russia are well advanced at 60% complete on 9.9 million hectares. A year ago only 7.0 million had been planted at this point. Dec 14 CBOT Wheat closed at $4.76 3/4, up 2 1/4 cents; Dec 14 KCBT Wheat closed at $5.60 1/4, unchanged; Dec 14 MGEX Wheat closed at $5.36 3/4, up 1 1/4 cents. 22/09/14 -- EU grains crashed to fresh lows with Nov 14 London wheat down GBP1.05/tonne at GBP110.50/tonne, and Nov 14 Paris wheat closing down EUR2.25/tonne to EUR151.25/tonne. Nov 14 Paris corn was down EUR2.75/tonne to EUR134.25/tonne and Nov 14 Paris rapeseed slumped EUR7.75/tonne to EUR310.50/tonne. Both London and Paris wheat fell below support at GBP110/tonne and EUR150/tonne, before eventually clawing their way back up above those levels at the close. It remains to be seen if they can manage to stay there for the remainder of the week. Of the main four grains only Paris rapeseed didn't set a fresh more than 4-year low for a front month, and that only managed to do so by EUR1.50/tonne. The Paris wheat contract also remains under pressure as the market questions its legitimacy to command such a premium over feed wheat given the poor quality of this year's French crop and the fact than wheat with a hagberg level as low as 170 is still deliverable against the contract. At least it is deliverable in theory. One of the two delivery points in Rouen is already full. Open interest in the Nov 14 contract is the equivalent of around 7 MMT. Russia said that it had harvested 90.8 MMT of grain with 25% of the crop still to be cut. That total includes 54.8 MMT of wheat, leaving them on target to achieve a final output in excess of 60 MMT after cleaning and screening, even allowing for lower yields from Siberia and the Urals region. Russia’s Ag Ministry said that the country had exported 9.9 MMT of grain between July 1st and Sept 17th, a rise of 26% from a year ago. That total includes 8.6 MMT of wheat. Russia's competitive edge now seems to have eroded though, judged on recent GASC tenders. Europe and the US are now playing catch-up it would seem, with both needed to make room for their impending record large corn crops. 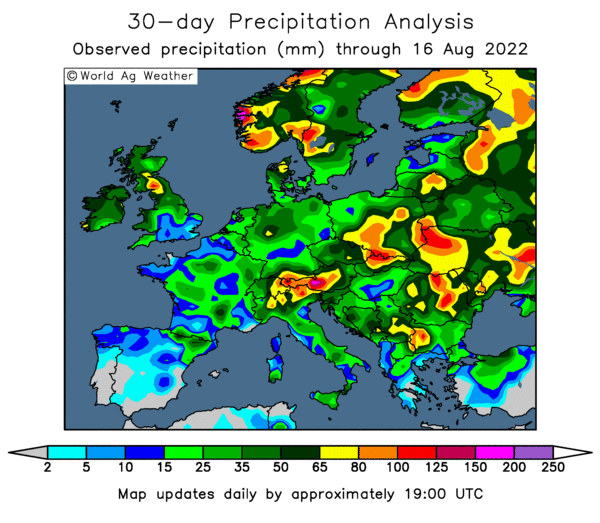 Heavy rain is now stalling what's left of the Russian grain harvest, although it will be a welcome boost for newly planted winter grains. That crop, for the 2015 harvest, is already 60% sown on 9.9 million hectares. The Kazakh harvest meanwhile is 58% complete at 9.5 MMT. The Ag Ministry there forecast a final 2014 harvest of 14-15 MMT, down from 18.2 MMT a year ago, with exports seen at 8.6 MMT.